The Golf blue-e-motion will be the second of three EVs from VW to begin sales in 2013. 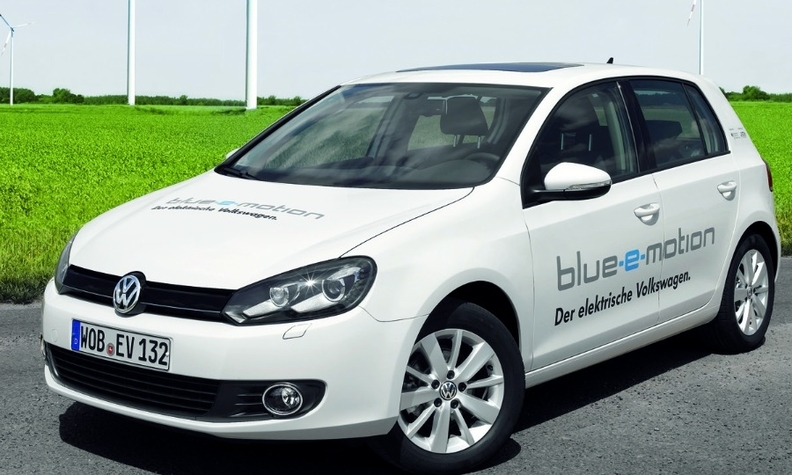 FRANKFURT – Volkswagen AG has begun delivery of a second test fleet of Golf blue-e-motion EVs to customers in Germany. Of the 80 cars being tested in the fleet, 53 will be delivered in Berlin, with the rest going to Hannover and Wolfsburg, VW said. The majority of the Golf EVs will be tested by corporate customers, as VW views this group as the largest market for EVs in the future. Companies taking part in the tests include Coca Cola, Continental, Deutsche Bahn and Deutsche Telekom. Drivers testing the EVs will be able to monitor the vehicle via a special i-Phone application and receive advice and support from a specially established Web site and call center. The Golf will be the second of three EVs from VW to begin sales in 2013, after the Up blue-e-motion and before the Jetta blue-e-motion. Joining them in the same year will be an electric version of the Lavida for the Chinese market. The Golf's electric motor develops the 115 hp allowing it to accelerate to 62 mph (100 kph) in 11.8 seconds and reach a top speed of 86 mph. According to VW, the Golf EV has a range of over 90 miles on a single charge. The German government recently announced it will spend 1 billion euros in the research and development of battery-powered vehicles and aims to have 1 million EVs on German roads by 2020.